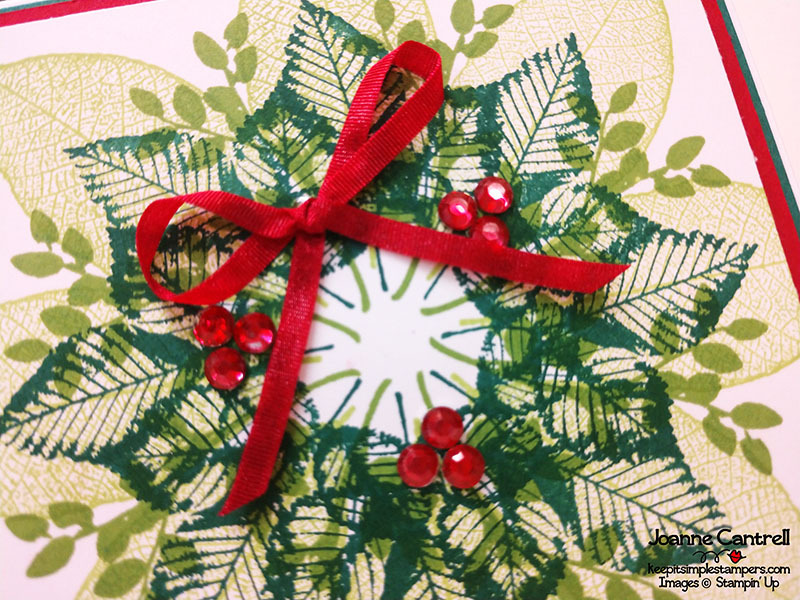 Stamper’s Dozen Blog Hop – Christmas in July! 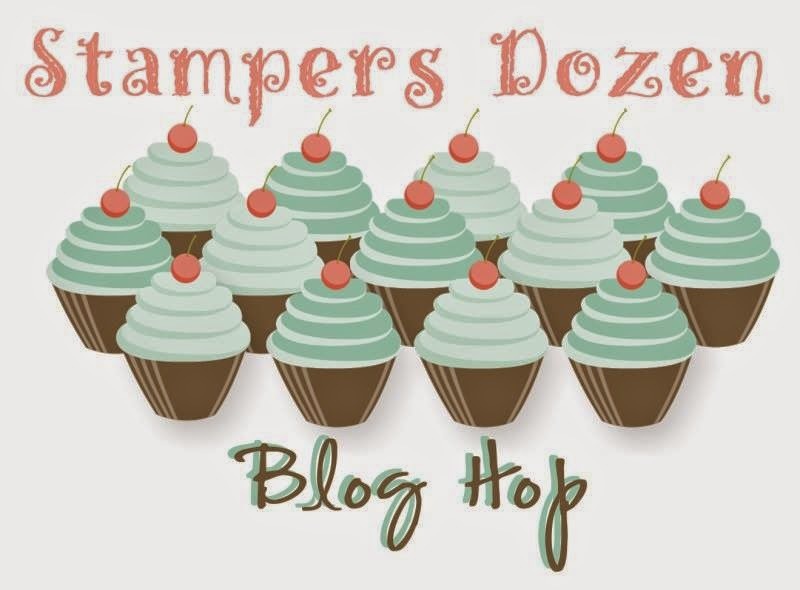 Welcome to this month’s episode of the Stamper’s Dozen Blog Hop! You are currently visiting Joanne Cantrell. This is one hop that I look forward to each month because the projects are always over-the-top wonderful! I am sure this month will be as well. Our theme this month is a CHRISTMAS IN JULY!! I mean, really! Who can think about Christmas when it’s 112 degrees outside. I guess this girl can. After all, Christmas will be here before you know… we all know that! Time is just flying by this summer! In fact, it flew by so fast these past couple weeks, that I am really a few hours late in posting this! Oops! Hope it is worth the wait! 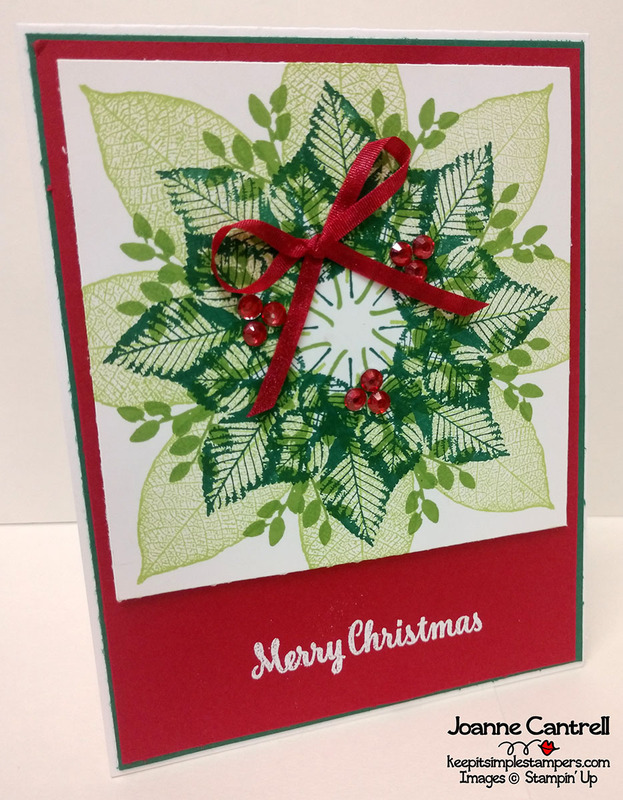 This card was made using the Rooted in Nature stamp set. I used Lemon Lime Twist, Granny Apple Green, and Shaded Spruce for the colors. Added a couple Red Rhinestones and a Red Solid Ribbon. The sentiment is from the Star of Light stamp set and is embossed in white. Now, how did I do that perfect circle wreath? It’s a technique called Stamping-in-the-Round. This technique uses the Stamparatus, Stampin’ Up!’s new stamp positioning tool. It was first introduced to me at a team meeting… one of the many great benefits of being a demonstrator. This is the mat that I used to create it. You simply position your stamp, then each time you stamp it, turn the cardstock 1/4 turn and stamp again. You do that 8-times. You can right click and save this to print. 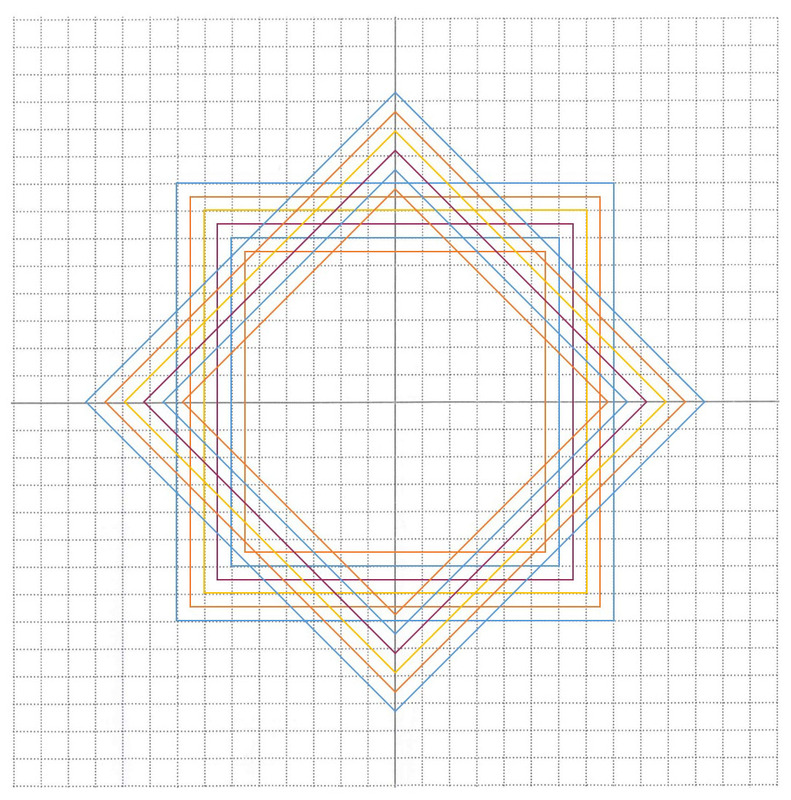 Make sure when you print that the largest blue square measures 4″. The squares then decrease 1/4″ from there… Just cut your cardstock to that size! Hope that makes a little bit of sense. < Previous RemARKably Created Blog Tour – Color Me Happy!